Diana created a colorful Autumn scene with a layer of stitched circle elements as the backdrop behind her characters. She combined a rich blend of colors on her stamped images perfect for fall and completed the design with a simple stamped sentiment. 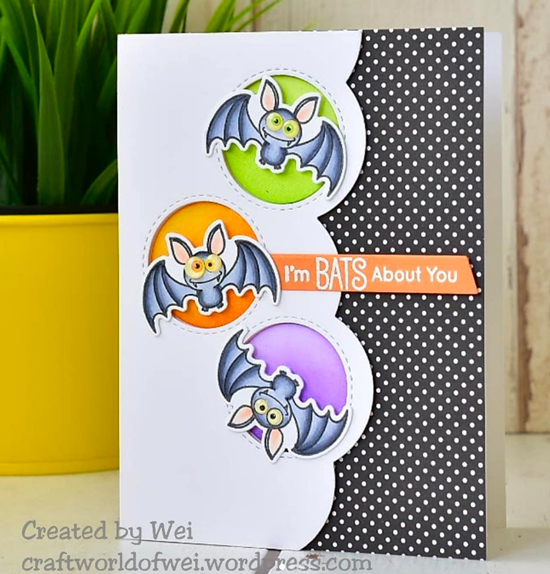 A trio of playful bats with a fun, colorful background is the perfect combination for Wei's Halloween themed card. We love the contrast she achieved with the pop of black & white polka dots on the background and the added dimension with foam adhesive under the main panel. 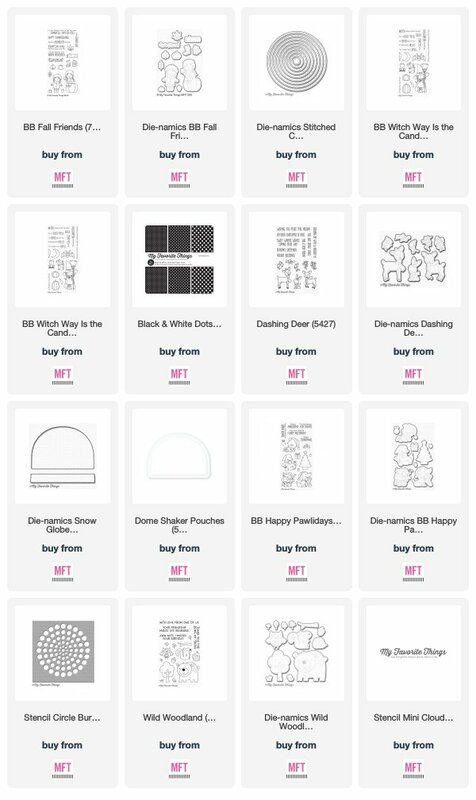 Have you started on holiday cards yet? 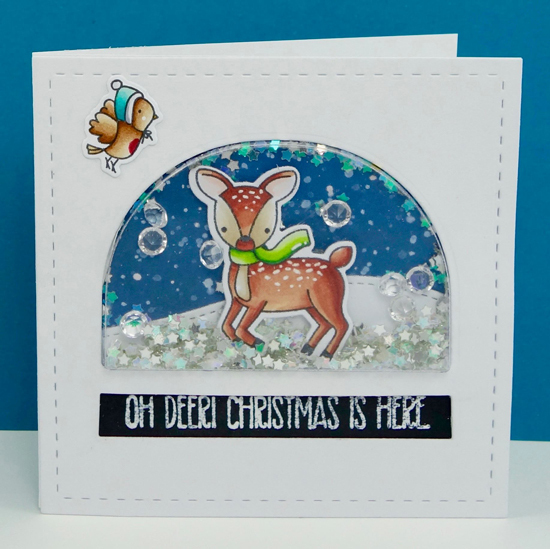 We love Steph's take on a magical winter snowglobe with her delightful deer and falling snow inside. 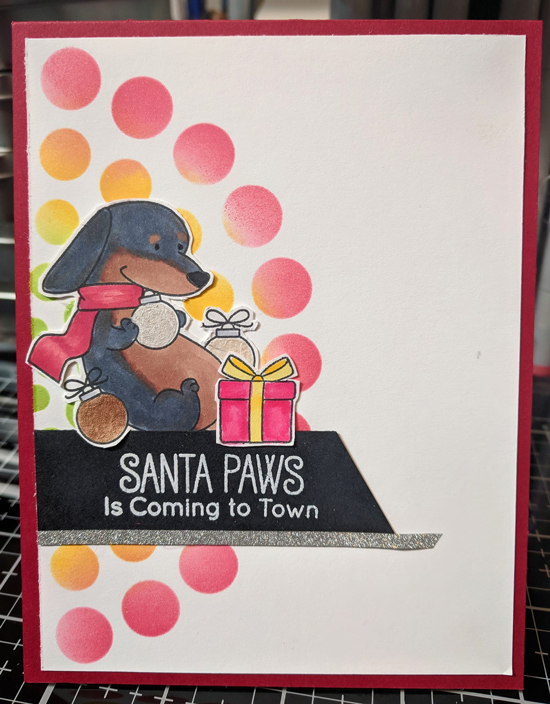 We always think the holidays and adorable puppy images are a great combination, so we love this festive design by Erika. The inked circle background provides a great backdrop for the design while the stamped sentiment strip helps to ground the stamped images. 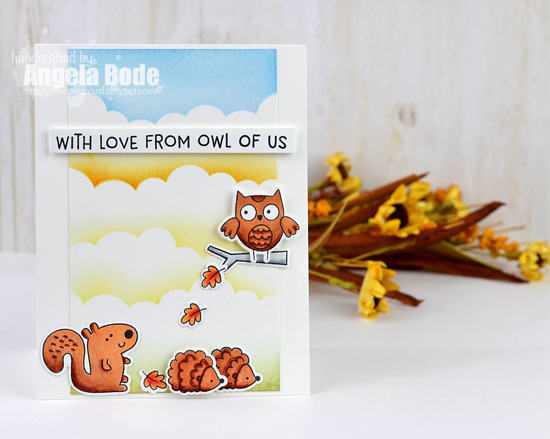 The gorgeous inked clouds on Angela's card caught our eye as soon as we saw it. 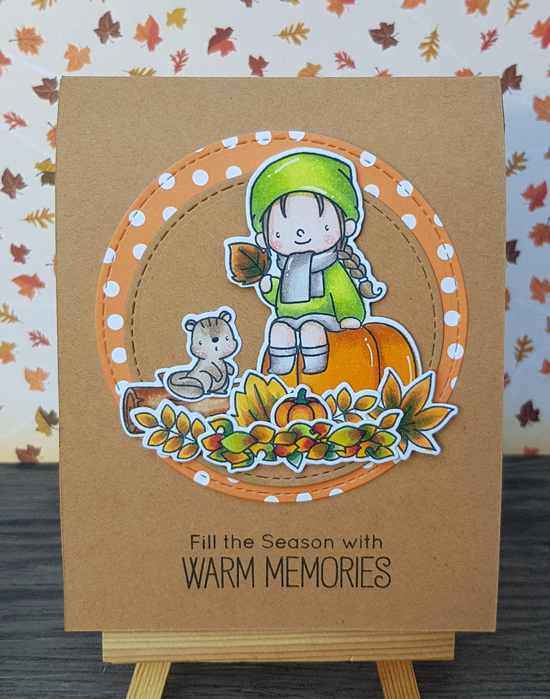 She created a beautiful blend of colors to create her fall-themed sky - the addition of the stamped woodland characters are a great addition to her stunning landscape. Oh my goodness. Thank you so much for this. What a great surprise!